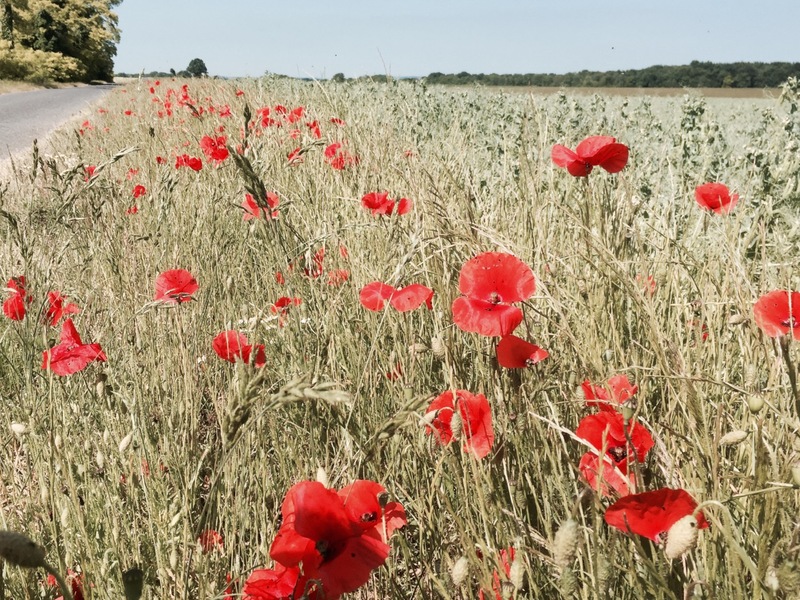 From the Arctic tundra of northern Norway, to hot arid climes of Spain, and the varied landscapes of Eastern Europe, I came across a variety of flora and fauna as I pedalled my way around Europe this summer. Whilst some of the animals were too quick to be photographed, such as the Black Woodpecker I saw in France, or just to fast as was the case with the hares in Sweden, I did manage to capture a few on camera; mostly dogs and cats as they tended to make their presence known, whilst in search of fuss or food. In the far North there wasn’t initially a lot to be seen, aside from a few friendly trolls lurking around Nordkapp. On the road South to Honningsvag I was pleased to see reindeer, but reminded of Scandinavia’s penchant for hunting at the hostel where I was staying. I came across more reindeer and a couple of living moose on my way to Finland and Sweden, and was constantly accompanied by the sounds of birds singing, as the snow thawed and Spring arrived. I was of course always accompanied by an animal of sorts, Travelling Lobster, and I shouldn’t forget that I am also classified as part of the Animal Kingdom. 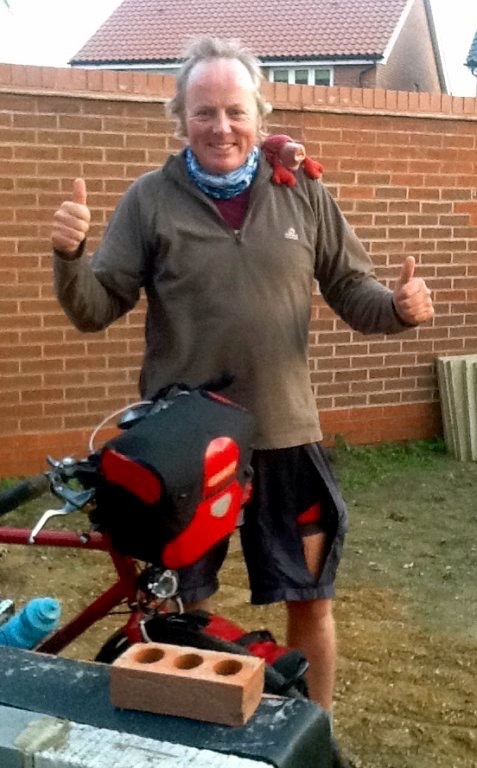 I couldn’t have done without my ‘jovial’ companion, even if he wasn’t one for doing much pedalling. The Lobster had a fondness for cows. I’m really not sure why, however it could be to do with his addiction to chocolate, and realisation that cows are integral to its manufacture. It was he that ate all the chocolate I was forced to buy to feed this addiction…honest. Has anyone else found that some cows get quite excited when you cycle past them? I quite often found they’d follow me as I pedalled past their field, and that they’d sometimes break into a run to keep up. This happened to me a lot on my cycle tour in Scotland in 2013, and I’m wondering if it’s something to do with my red panniers. 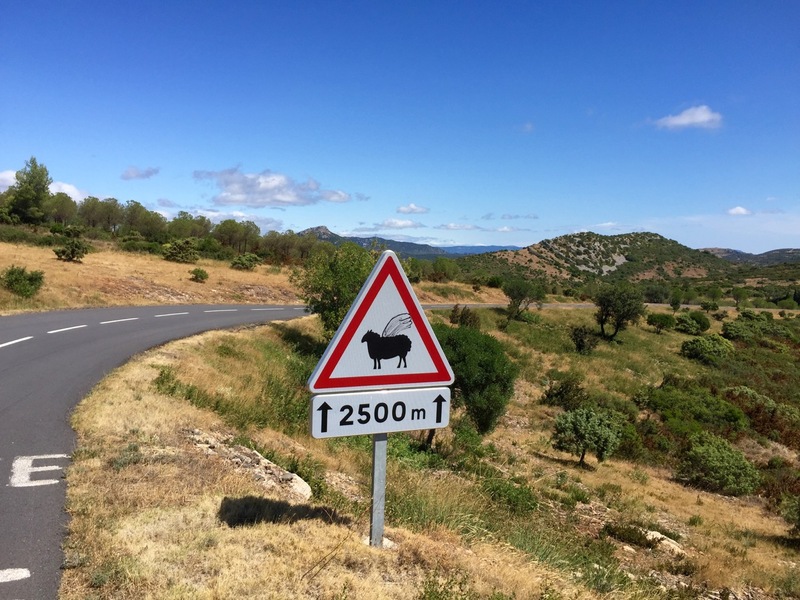 As well as cows I encountered lots of goats on my way around Europe, more so in the South where herds sometimes blocked the road, and sometimes on campsites where they were used as environmentally friendly lawnmowers; don’t leave your washing out near them though. Birds were often to far away to get a good picture, or moving to quickly, however wildfowl proved more easier to photograph, especially when they wanted food. I lost count of the number of birds of prey I spotted, ranging from huge numbers of buzzards, to Black Kites, massive eagles where I couldn’t be definite on the species, countless Kestrels, and soaring falcons. They were often being mobbed by gangs of crows intent of driving them off; crows a long with pigeons were a constant feature around Europe. Birds of prey weren’t the most lethal of feathered friend I came across, although thankfully I only saw a sign warning of the dangers of the following. Yep, sheep, I really hope they don’t evolve wings, no one would be safe. I encountered many sheep ambushes on my tour around the coast of Britain in 2013, and became convinced they were after me and possess some kind of hive intelligence, with a grand conspiracy in play. I came across many more sheep in Europe, however they weren’t quite as vicious as their British cousins. On the dangerous animal front there isn’t much to report. The only bears I saw were on signs, stuffed, or statues thereof, and although I visited a wolf sanctuary I didn’t see any as they were all asleep. I guess the most alarming animals of the whole trip were the dogs encountered in Greece, Turkey and Eastern Europe in general. Often wild or feral, they would chase me, snarling and barking. My scariest experience of the whole tour was being surrounded by a pack of 7 or 8 growling feral dogs in the hills outside Thessaloniki. On the flip side I came across a lot of friendly hounds, who were more than happy to say hello and stick their noses in my panniers looking for snacks. My friend from Odessa again; look at that expression! Cats were also a common feature along the way, especially further South. They’d often arrive to inspect my tent and panniers, or to just say hello and settle down beside me in the sunshine. Horse drawn vehicles became more common in parts of Eastern Europe, however I happened upon many equine beasts elsewhere. On the farm animal front, I met a few when staying with friends on their farm in the Ardeche, a wonderful break on my tour that I’ll always remember. And then there were a few exotic or miscellaneous beasts, or imaginary creatures, that I came across. 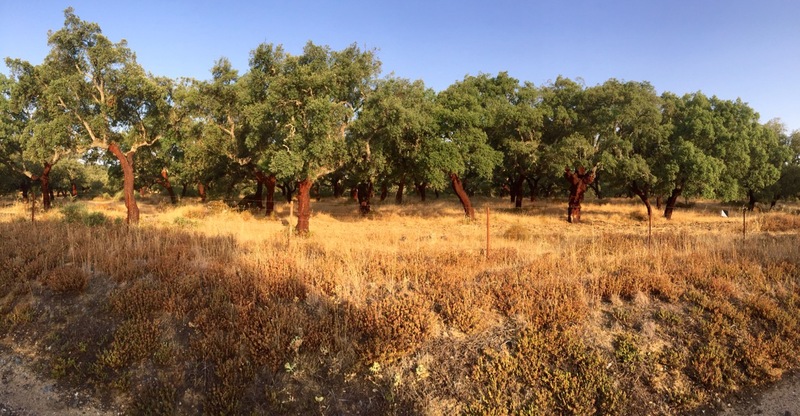 Finally here are a couple of nice landscape shots, although really I could do a whole series of blog posts just show-casing some of the amazing panoramas I pedalled past. All these pictures were taken using the camera on my iPhone 6. I considered taking my Canon digital SLR, however it’s just another piece of baggage and thing that I could potentially lose or get stolen, so decided against it in the end; good decision I think. Still thinking about ideas for my next cycle tour adventure; likely to be a series of shorter expeditions I suspect, to fit around work, but looking forward to whatever they will be next year – for starters mountain biking around some bothies in Scotland has got to be a good plan. 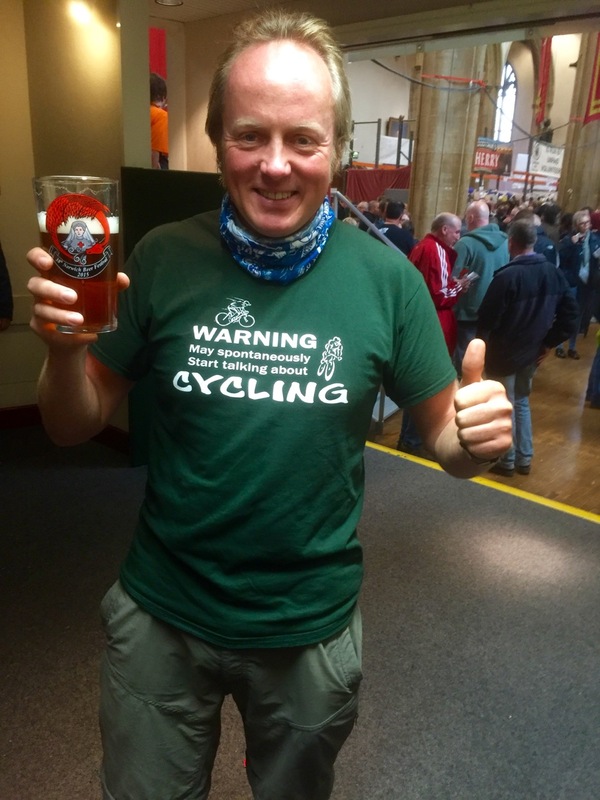 This entry was posted in Fun stuff, Self Propelled 2015 and tagged Adventure, Animals, Bicycle Touring, Bike, Charity, Countryside, Cycle Touring, Europe, Expedition, photos, Self Propelled 2015 on November 17, 2015 by SelfPropelled. 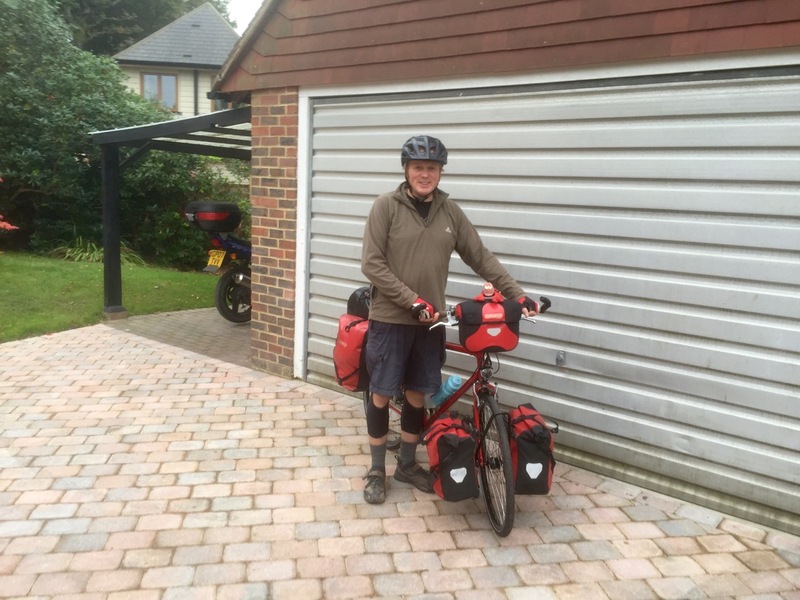 I couldn’t tell you how much all the kit I took with me around Europe for six months weighed, maybe 35 kg, including my bike, I don’t think I ever weighed it. There was certainly quite a lot of ‘gubbins’ involved, making me slightly jealous of the ultralight tourers I encountered with nothing but a sawn-off toothbrush and a credit card for comfort, however not as much as I’ve seen some people take with them. The following is a review of some of the kit I toured with. 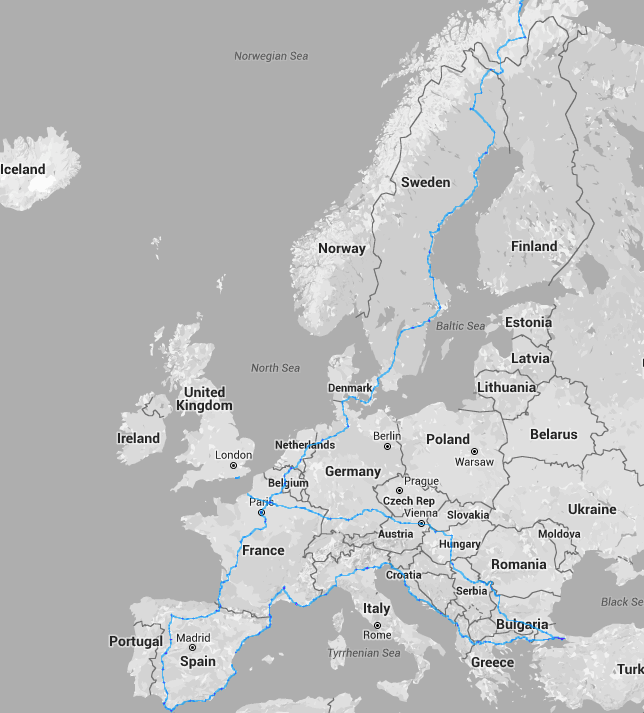 It’s worth mentioning that, aside from a few maps, I finished pedalling around Europe with all the kit I started with, apart from one Icebreaker base layer which disintegrated somewhere in Spain. 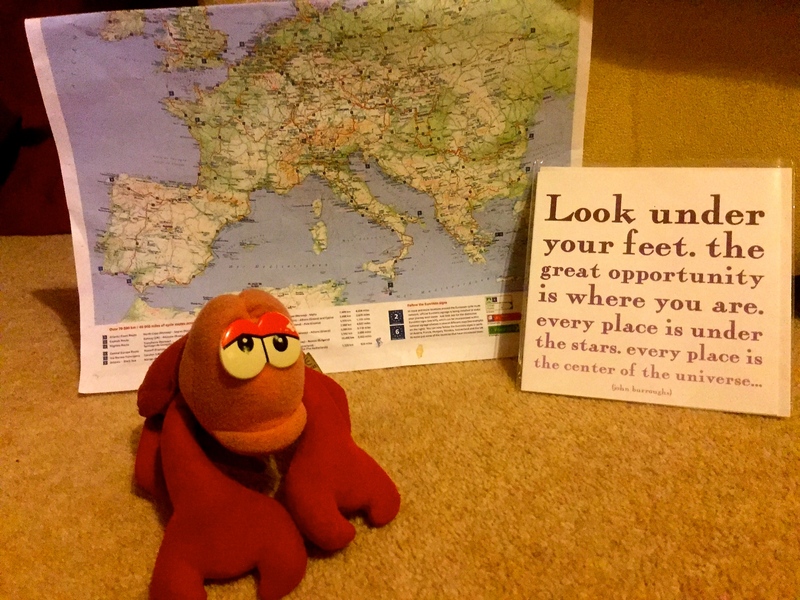 Travelling Lobster even made it back, although he still needs a wash; a more erstwhile travelling companion I could not have asked for, despite his lack of assistance in the pedalling department, or any department aside from sightseeing and chocolate eating. Here are a few photos of the bike, christened Smaug, in transit on the way to Nordkapp, then on to Tarifa, followed by Istanbul, before returning back to the UK. Smaug is based on the Expedition Bike design from Oxford Bike Works, with a few custom tweaks such as the addition of a dynamo hub, as well as a Brooks saddle. I wanted something simple, strong, and reliable, and was not disappointed. Richard from Oxford Bike Works did a great job with the specification, in partnership with Tom Allen of http://tomsbiketrip.com renown. The steel frame proved resilient, using Reynolds 525 tubing. Some people use aluminium frames when touring, however I prefer the additional strength from steel, even if it is heavier, and the fact you can weld it back together again if it does break; aluminium doesn’t take too kindly to a welding torch. I wouldn’t go near carbon on any part of a touring frame. I also chose the colour red, as everyone knows a red bike goes faster, and that, along with the fact it flew up and down mountains and breathed fire, led to the name Smaug. I changed the rear cassette and chain twice, once in France on the way to Tarifa, and once upon my return to the UK, so not bad considering that’s over 10,200 miles. I also had to replace the chain set (front rings) once back in the UK. The Schwalbe Marathon plus tyres performed admirably, as you’d expect, although I did suffer from more punctures than on my previous long tour around the coast of Britain. I think the punctures may have been more down to a duff batch of inner tubes, or more likely my impatience whilst mending them. I had to change my tyres once in the South of France, to a set of Malamuts which although larger did the job, and once upon my return to the UK; the rear tyre only just made it back. The Shimano brakes were great, and simple to change when I needed to. 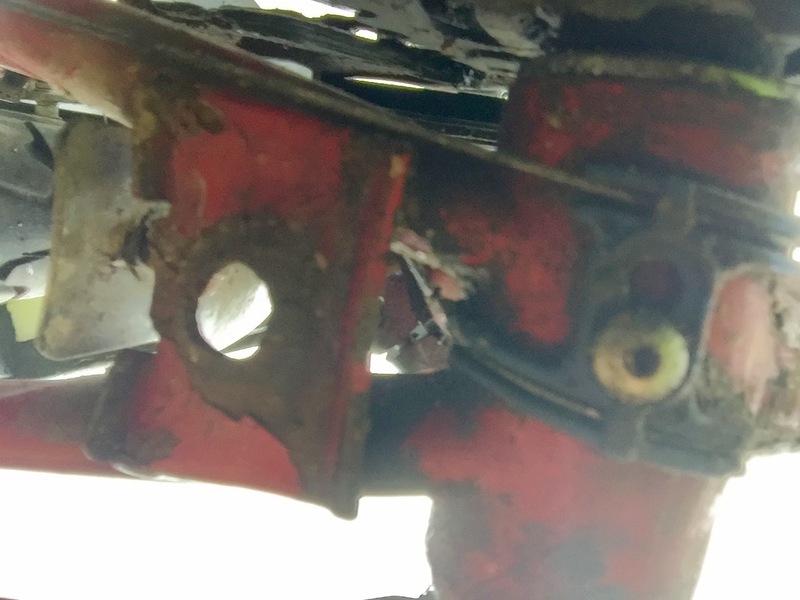 I had to swap the cartridge shoe inserts for brake blocks at one point, as I couldn’t find any replacement inserts, however I was glad of the simple set up, and that I didn’t have to fiddle around with disc brakes. I’ve also heard disc brakes put more strain on your wheels, due to their stopping power which can cause more spoke breakages; I hate spoke breakages so more than happy to forego the extra stopping power and complexity. Perhaps the most important feature on a touring bike is the saddle. 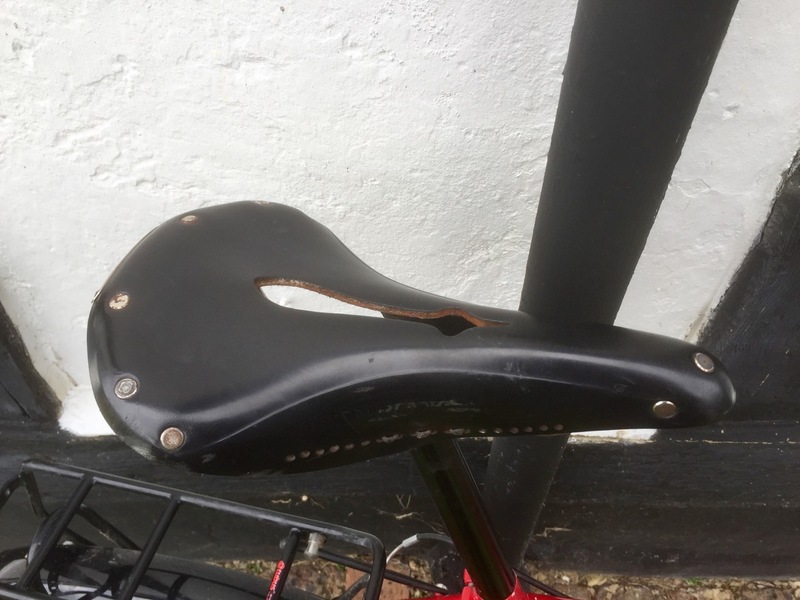 I started with a gel saddle, however soon found this became uncomfortable after long days in the saddle, and caused chafing; gel saddles may be great for a commuting but I would not recommend them for long distance touring. I swapped it for a Brooks B17 in Sweden, which took until Spain to wear in, but proved an excellent choice with no more complaints. I suspect this Brooks saddle will last me a very long time, and will almost certainly move between bikes. My favourite gadget had to be my SP Dynamo Hub, which did a fantastic job of charging my Garmin GPS and iPhone, as well as powering the fantastically bright Luxos from light. I sometimes wonder if bike lights are getting a little too bright, to the point where they pose a danger to drivers by blinding them, however the Luxos does have a dip and full beam setting, and it was great on the occasions I had cycle at night, especially on the last stretch to Dieppe in the early hours of the morning. Only two problems over the course of six months, the first being several spokes that all broke at once, and the second being the bike stand. The spoke breakages resulted from the gears being knocked out of alignment during the plane flight, meaning the chain slipped off the top rear ring, and slid down in between the cassette and spokes, chewing several of them up; luckily I wasn’t far from a decent bike shop. I should mention that I had no problems with the rims; Rigida Sputnik 26” (559), 36H, Schrader valve. If I had to choose a vital component of a touring bike, aside from the saddle, it would be the wheels. After having numerous problems with my factory built wheels on my Bike around Britain tour (different bike), I’d always go for hand-built wheels where they use decent spokes (factory built often use shoddy spokes). With such a heavy bike, due to all the luggage, wheel strength is massively important if you want to avoid mechanical issues. I was also happy with 26 inch wheels, rather than going for 700cc size. 26 inch might be slower, however that doesn’t particularly matter when you’re touring on a heavy bike, and there are two distinct advantages; increased wheel strength and ease of finding replacements. The bike stand itself was great, however the point at which it attached the bike deformed over time, and eventually made it unusable, probably due to the weight. I think you can attach it slightly differently to the bike, by fitting the clamp over the top of the chain stay tubes, which would probably increase durability, however I might go with one of those clip on bike stands next time. I definitely missed having a stand after it broke, however I wouldn’t say it’s a vital component of a touring set up, as you can usually find somewhere to lean your machine. Ergon GP1 BioKork lock-on grips were comfortable, spreading the weight across my palms, however I’d think twice about wearing gel cycling gloves with them. After while they caused me significant pain and actually damaged my hands; the combination doesn’t work, and once I removed my gloves the pain and nerve damage went away. 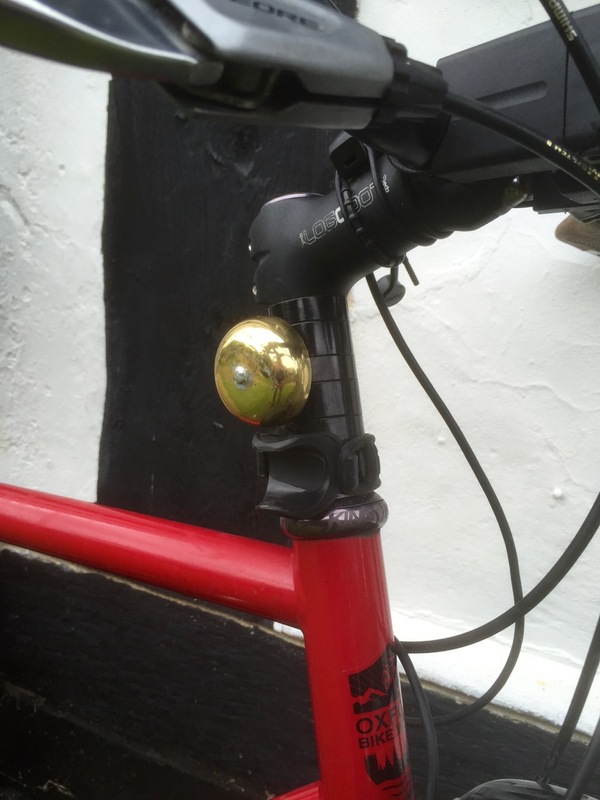 I swapped the standard bar ends for longer versions, which I prefer as it gives me more alternatives grip wise, and more to pull on when I’m standing up on the pedals going up hills; probably do that too much. Tubus racks proved excellent, with no breakages to report, unlike the Blackburn racks I used on by Bike around Britain tour. Using Shimano PD-M324, combination SPD/flat pedals gave me a choice between clipping in, or riding unclipped occasionally for a change, or when I changed into trainers for a bit. My Shimano MT71 cycling shoes were an excellent choice, and comfy to walk around in off the bike. Never go without mud-guards on a cycling tour, I really valued mine; they save on laundry bills and a wet behind. I chose to use security skewers for my wheels, to minimise the chance of theft. I think this is a good idea, however remained nervous throughout the tour of losing the security allen key! I added an extra bottle cage for my stove fuel bottle, bringing the total to 3 cages on the bike. This proved a very good idea, as I had to drink vast amounts in the hotter countries, so was glad of two water bottles, and further bottles stuck through the webbing over my rear rack. I liked the little touches such as the brass bell. Overall I’m extremely happy with my choice of bike for the Cycle Europe tour. It coped with 6 months on the road, covering over 10,200 miles in all sorts of conditions; snow and freezing temperatures in Scandinavia, rain, weeks of hot weather with temperatures exceeding 40′ Celsius, all sorts really. I wanted something that could contend with rough trails and tree root ambushes, for example through woodland or up and down mountains, as well as road riding, and this machine rose to the task. I’m sure it will continue to serve me well on future tours, although I have just noticed a few rust spots on the front handle bars I’ll have to deal with; wear and tear to be expected. No issues with these. They’re the same ones I used on my Bike around Britain tour in 2013, and they’re still going strong. I’ve only ever had to replace one bolt, and although they have a few nicks and small holes in them I think they’ll last for years yet. Ortlieb panniers are fully waterproof, which is a real bonus in wet conditions, however the only downside is stuff sweats in them when it’s hot, meaning things can get a bit smelly, or smellier; still wouldn’t choose anything else though. I also used a 35 litre Ortlieb dry bag, on the top of my rear rack, which I stuck my tent, spare shoes, hammock and other bits and pieces in. –> D-Lock and Kryptonite Kryptoflex cable – effective security but a bit heavy. Some would say a lock is unnecessary with a heavy touring bike, however I wouldn’t go without, especially when travelling solo. My Hilleberg Akto Tent is the same one I used on my tour around the coast of Britain in 2013, and several times since then, and is still going strong. I’ve re-waterproofed it once, which also helps with UV resistance, and it didn’t leak all tour. Compared with some tents it can get a bit too hot in sunny conditions, however this is a feature of tents in general, and the warmth is welcome in colder conditions. With a small porch area it has plenty of room to store your panniers in, and even a bit of shelter to cook under should the need arise. After 6 months my Akto definitely became a home from home. Doesn’t react well to attacks by Varmints. Voles had a go at it in Sweden one night, emerging from their dens under snow drifts to menace me. It’s very unnerving feeling a small rodent moving under your tent at night, and very annoying when they naw holes in your ground sheet and bite through the retaining cord underneath the tent! I’ve had trouble with the tent zip a few times, with it breaking/un-threading and needing to be re-threaded using a pair of pliers and a lot of patience. This can get kind of annoying, especially after a long day and if it’s raining. I’m not sure what caused it. This combination served me well over six months, despite the thermarest being punctured so not offering a lot of padding; it still provided a layer of insulation and I got used to sleeping on the ground. The sleeping bag was warm enough, especially when used in conjunction with a set of thermals. The trick to being warm when going to sleep is being warm when you get into your sleeping bag, so a quick run about or a few press-ups were sometimes in order. 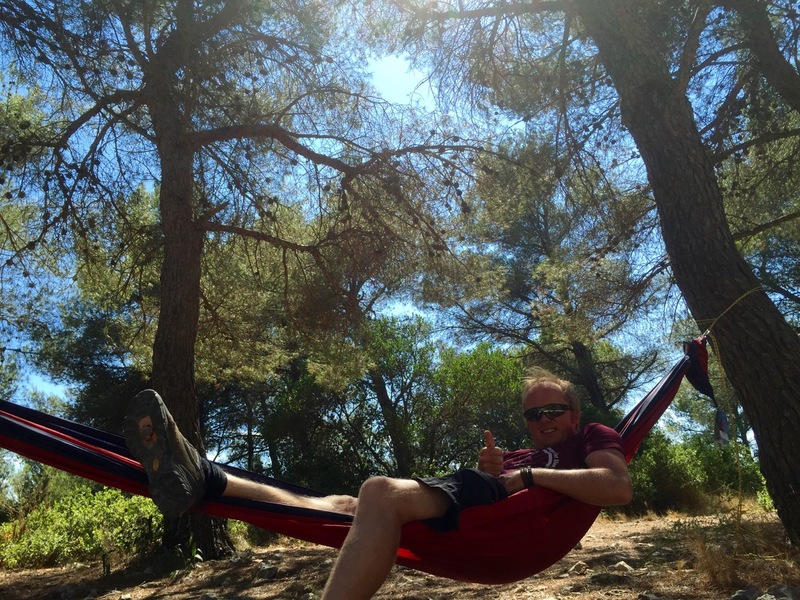 My Ticket to the Moon hammock was a late addition to my touring kit, having acquired it in Marseille, however I wish I’d had one before then. They’re great when it’s hot and there are suitable trees around, even if you just use it for sitting in, rather than sleeping overnight. Spent many a lazy hour chilling out in my hammock after a long ride. –> Misc – never go without cable ties and gaffer tape. Handy for mending all sorts of things, from holes in the bottom of your tent to temporary bike fixes, or emergency clothing repairs; my shorts were a little threadbare by the time I got home. One more thing on camping, as it’s a question I’m often asked. I didn’t always know where I was going to stay each night when I set off in the morning, although I could get ideas on campsites via asking people, an app on my phone, or the Internet. I tended to plan a few days in advance, but remain flexible in case I wanted to divert to see something interesting. If a campsite didn’t materialise, or a ride took longer than expected, I always had the option to find somewhere quiet and wild camp; when you have a tent, bivvy bag or hammock, you’re never without somewhere to sleep. Great for cooking on, using my Tatonka pans, although didn’t use it a lot after Scandinavia as cold meals were fine. Like the fact you can use unleaded petrol to fuel it, which is available everywhere, unlike some gas canisters. I took a few bits of cooking kit with me including a chopping board that I rarely used, although a sharp knife is vital; had my trusty Bison Bushcraft sheath knife. I was also never without a bottle of Tabasco sauce, or equivalent thereof, to spice up a bland meal. Noodles and pasta featured heavily on the cooking front, as did frankfurters at one point. I ate a lot whilst on tour,including lots of biscuits and Haribos to replace burnt calories. It’s kind of difficult cutting down on food intake after consuming 4000 plus calories a day for 6 months, however I need to do so otherwise the kilograms are going to pile on. My Garmin 810 GPS worked well on this tour, only needing a factory reset once, and helping to guide me through some confusing parts of Europe. I wouldn’t however always trust it, as it did send me through an army base in Albania, and attempt to do so again in a few other countries. Up until Turkey I also used paper maps, which in general I prefer, however they became tricky to source them in Eastern Europe, so for the return leg from Istanbul to the UK I used a combination of my Garmin and the maps app on my iPhone; worked very well. A bit of preparation each night, memorising key towns or villages along the route, goes a long way to easing navigational issues. I had to take clothes with me that were suitable for the cold conditions of Scandinavia, and parts of the return leg through Germany and into France, as well as the hot conditions of Spain and Southern Europe. This meant some clothes, such as my Rab down jacket, weren’t used a lot, but made a good pillow. I also valued my two buffs (like a snood), which provided protection from the cold, rain, and sun, as well as a pollution mask sometimes; a buff is another piece of kit I wouldn’t go without – simple but effective. My BBB Cycling Sportsglasses worked a treat, with different coloured lenses for different conditions, and for once I didn’t lose or break them! You don’t have room for a lot of clothes, however things like merino base layers don’t need washing that often, and there’s always somewhere you can rinse things through, even if it’s stream in the woods. Don’t go without swimming shorts of the equivalent; can’t miss opportunities to swim in gorgeous and cooling rivers and lakes, or crystal clear seas. I’ve already mentioned my Garmin Edge 810, and my iPhone which doubled as my camera for the tour. The camera on the iPhone is excellent, and saves on space when compared with lugging around a bulky SLR. You can also use it to record good short movies, which I need to do more of in future. I took an Apple MacBook Air for blogging and browsing purposes, which fitted easily in my rear panniers. Finding wifi wasn’t too much of a problem, although I was amazed that wifi in Western Europe, and the richer countries, was in general much worse than in Eastern Europe and the perceived poorer countries. If I couldn’t find wifi I nearly always had 3G or 4G, which bizarrely I don’t always in the UK, so could tether my phone to my laptop if I really needed to do some planning. I had PowerMonkey-eXtreme solar charged battery pack which I used a few times, but didn’t really need as my dynamo hub worked so well; it was a good back-up in any case. Aside from a hammock, which I bought half way round anyway, there was nothing else I thought I really needed. In retrospect something to scare off dogs wouldn’t have been a bad idea. The best idea I came across for this was from a French couple touring with their 6 year old son; an air horn, which dogs flee from. You can find a full list of the kit I took with me on the Gubbins page of my blog, however feel free to leave a comment or send me an email if you’ve any questions. I’m sure I’ve missed something out. Next blog post will be something fun; the animals I encountered whilst on tour, which will feature a lot of dogs, as well as the occasional Llama, and several cats. Here are a few warm up pics. 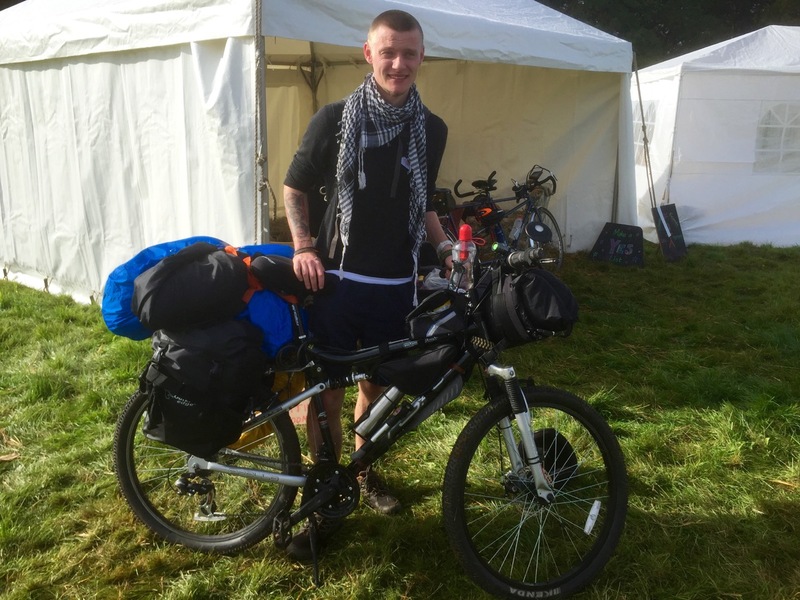 This entry was posted in Review, Self Propelled 2015, UK and tagged Adventure, Bicycle Touring, Bike, buff, Charity, Countryside, Cycle Touring, Europe, Expedition, gubbins, Hilleberg Akto, kit list, Oxford Bike Works, photos, Self Propelled 2015 on November 9, 2015 by SelfPropelled. That’s it, tour done, a weird feeling after being away for nearly 6 months. 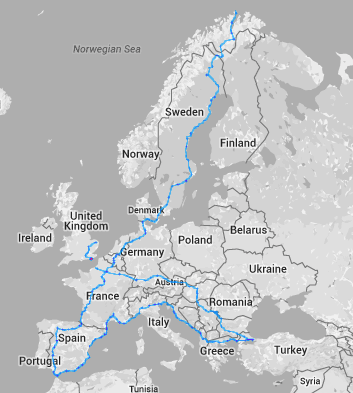 It’s still quite hard to take it all in, having pedalled from Nordkapp, Norway, in the Arctic Circle, the Northernmost point of Europe accessible by road, all the way to Tarifa in Spain, the Southernmost point, then across to Istanbul and Eastern Europe before pedalling back to the UK alongside the Danube. Today was my first day back at work, which mentally drove home that this adventure has come to an end, however I’m sure there will be plenty more in the future. Overall I’m very happy with how it all went, having encountered no insurmountable obstacles, and visited lots of great countries and places. It’s all about adding brilliant memories to the bank, by filling the time I have on this planet with new, exciting and varied experiences whilst I have the chance. To choose but a few; I’ve swum in the sea and rivers, lazed in the sun, climbed mountains, whizzed down valleys and gorges, slept in forests and under the stars, tried lots of new food…and drink, stayed with old friends in France and made lots of new ones across Europe, met my parents in Spain on the Camino de Santiago route for my birthday, and challenged myself to see just how far I can pedal, in all sorts of conditions, and on a variety of road and trail! As with my tour around the UK coastline in 2013 I was reminded of how friendly, generous and welcoming most people are, something the media have an unfortunate tendency of distorting at times. 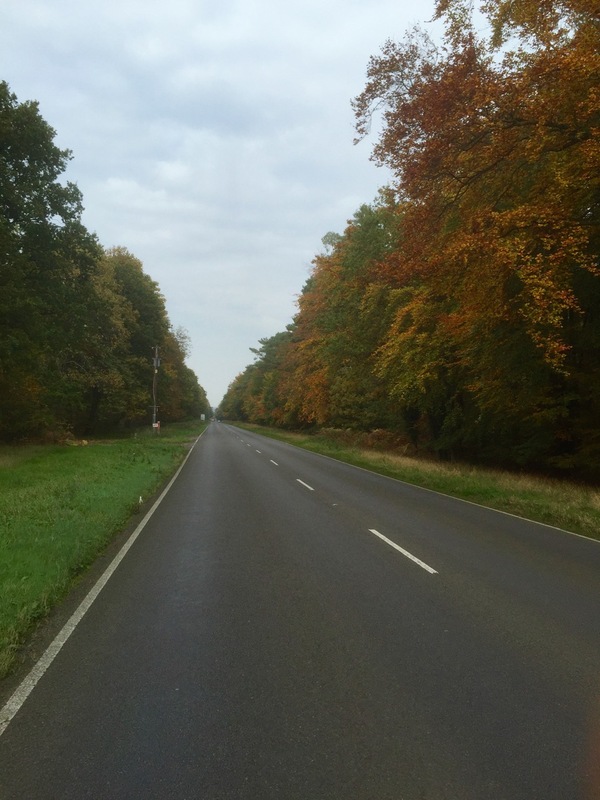 Even the weather was mostly kind to me, although I won’t miss cycling in temperatures of over 40 degrees Celsius in Spain, or the headwinds and rain of Denmark. One of the most common questions I get asked is ‘What was your favourite bit?’. I find this almost impossible to answer as it was a journey of such contrasts; Scandinavia with its wonderful wilderness and nature, snow and ice abounding whilst I was in the Arctic Circle, the Camino de Santiago, the dizzying heat of Spain with its ancient towns and cites, France that I just love anyway, the fantastic Croatian coastline, crazy Istanbul, friendly Albania, Bulgaria, Serbia and Hungary, and cycling alongside the Danube through picturesque forests and gorges in Germany and Austria – very good food and again friendly people in the latter two too. The more I think about it the more I remember great experiences, with any bad points or anxieties I felt at the time slowly fading into the background. I still think one of the best ‘bits’ is all the people I met along the way, especially those with whom I pedalled for a bit. Finishing the tour with a stop off at the Yestival festival, with more great people, buckets of inspiration and motivation, topped it all off; it also added a certain symmetry to the tour, having started at the Cycle Tour Festival in May, which along with Yestival is going in the calendar for 2016. Here are some updated tour statistics and facts you might find interesting, or not, depending on how much you like numbers. Favourite stop: With friends in France (Ardeche, Provence, Marseille), followed closely by Tarifa and Istanbul. Friendliest country: Not had an unfriendly one, however Albania or Serbia probably win – Eastern Europe in general; can’t count France as was with good friends there anyway! Weight lost: about 2 stone (13kg), although I’ve about a half stone on since I’ve been back due to still having a huge appetite but not cycling 100km each day; gonna have to fast soon. If there are any other stats you’re interested in let me know, and likewise shout if you’ve any questions. Another common question, which people ask me nearly straight away, is what’s next? I’m starting to respond by asking them what adventure they have planned instead! I have lots of ideas, but I doubt they’ll be anything quite as long for a while; need to save up some money if I want to go on a long tour to Canada, South America, Morocco, or South East Asia, which are all on the list. I’ll be attempting to write a book about this latest tour, mainly to see if I can write a book rather than earning lots of money off it, and I hope to continue filling life with great memories by going away on shorter adventures. Things on the list so far include mountain biking around bothies in Scotland and perhaps Wales, hiking the Coast to Coast route along Hadrian’s Wall, kayaking and camping on the Norfolk Broads, starting to rock climb again and visiting the Peak District, learning how to kite surf, taking my Kendo 1st Dan grading, and lots of local micro adventures in Norfolk; just sleeping out under the stars whenever possible, after cooking over a campfire or stove, and waking up as the sun rises. Always up for company on trips if you fancy getting outside and enjoying life. Thanks again for reading and support along the way; as with the sponsorship it’s really appreciated and helped keep me going. 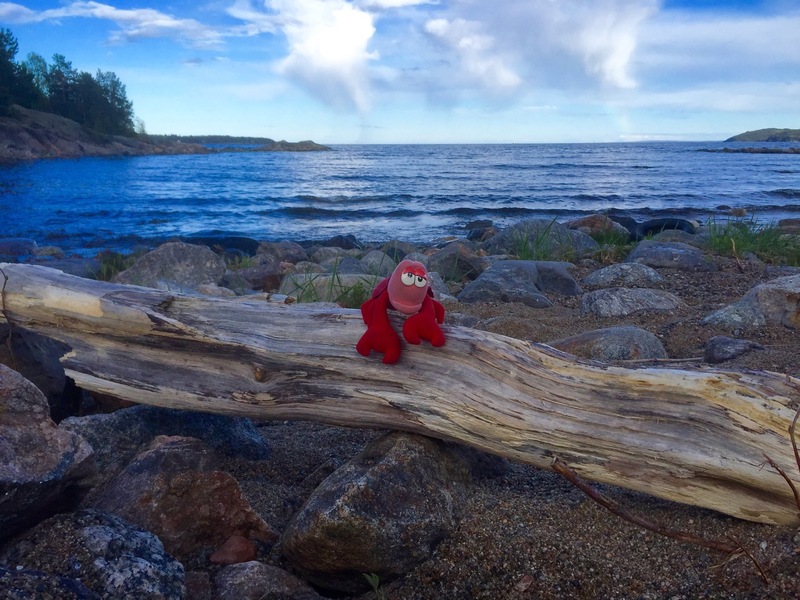 And Travelling Lobster says hi; he still needs a wash! 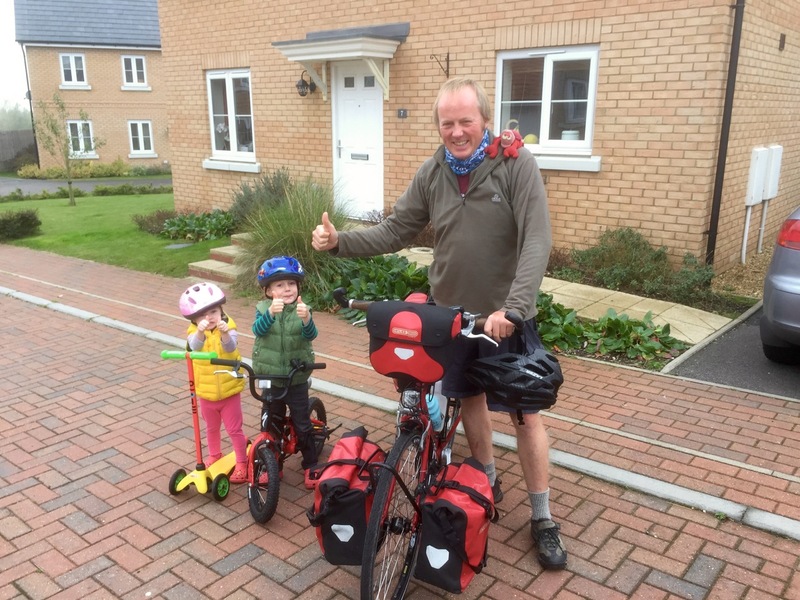 This entry was posted in Self Propelled 2015, UK and tagged Adventure, Bicycle Touring, Bike, Charity, Cycle Touring, Europe, Expedition, Nordkapp, photos, Self Propelled 2015 on November 3, 2015 by SelfPropelled.